Fee rise 'forced on Scottish government' Jump to media player NUS President in Scotland, Liam Burns, has blamed the government in Westminster for a possible rise in fees for students from England, Wales and Northern Ireland who go to university in Scotland. 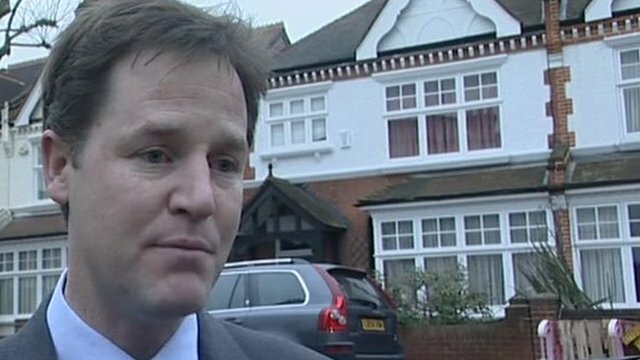 Clegg: Lib Dems more united than ever Jump to media player Senior Lib Dems have said the party is "united" despite Thursday's rebellion over raising tuition fees in England. 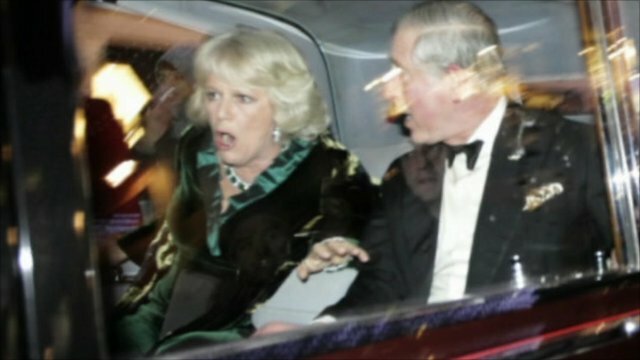 Royal car attacked by protesters Jump to media player Protesters attack the car containing Prince Charles and the Duchess of Cornwall, as MPs back plans to treble tuition fees in England. Students from England, Wales and Northern Ireland who go to university in Scotland could face annual fees of up to £6,000, the BBC has learned. The plan is believed to be in a Scottish government Green Paper on education funding for the future. Home and EU students currently pay nothing at Scotland's universities, while other UK students pay just under £2,000 a year. 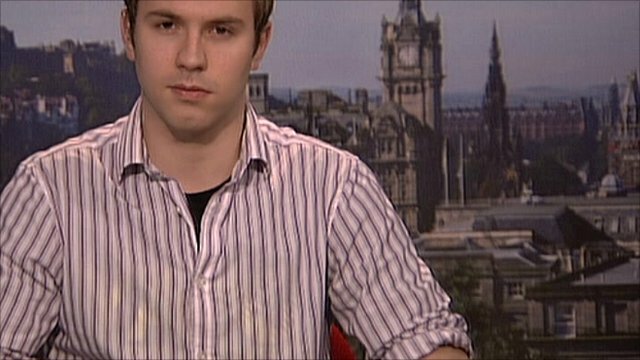 NUS President in Scotland, Liam Burns, blamed MPs in Westminster for voting to increase fees in England.